Dr. Lipton saved Sally’s life. My 18 year-old “feisty female”, refusing vehemently to get into her carrier, hadn’t seen a vet in a very long time. her to anyone needing this kind of special care." Dr. Lipton has been our vet for the past 6 years. She first began treating our 12-year old dog in his decline. 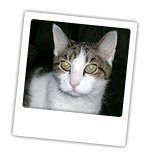 "Dr. Lipton has been our vet for the past 6 years. She first began treating our 12-year old dog in his decline. What impressed us the most was that she took extraordinary effort to investigate his condition and discovered issues undetected by the vets that had been treating our dog for most of his life. She definitely aided his condition during his final months. Dr. Lipton has treated all of our animals ever since." "I cannot tell you how much it has meant to have your expertise, counsel and wisdom as I traveled the terrain of Devekut’s illness; and even more so your gentleness, compassion and love. You are a true healer- ushering us both through such a difficult time. The last 24 hours of grieving have been very hard and what is helping the most is gratitude that she was at home playing up until right before she died. The procedure itself was absolutely merciful and fast and that my kinesthetic sense of her resting and peaceful has stayed with me. Your presence, heart and skill helped us both so much. Thank you for the gift of your accompaniment and great warmth and kindness. You have deeply blessed me by enacting this as a ritual and entering with such reverence and love. I look forward to meeting again on easier occasions." "I first met Dr. Lipton when I was looking for a veterinary acupuncturist who could help me with hospice-style care for an extremely elderly cat. It was wonderful to have a veterinarian examine my cat at home because so often the cat would act very differently at the animal hospital than she did at home. From the very first visit I was impressed by how kindly Dr. Lipton treated my frail old kitty; she handled her like she was a rare china doll. Dr. Lipton's treatments were always gentle and were always based on what the cat needed on that particular day. Instead of following a fixed, regimental approach to treatment, Dr. Lipton showed me how important she felt it was to adapt to what her patient needed at any given time. Her treatments really helped to give my elderly kitty a good quality of life, and I'm very grateful for all of her effort. Dr. Lipton truly understands that for many of her clients the household pets are important members of the family who deserve medical care that is equally as good as the medical care that the human family members get. Dr. Lipton is terrific at educating her clients about their pets' medical conditions and is always very happy to answer any questions. She's a strong advocate for her patients' well-being and she knows that a good way to do this is to be sure that her patients' owners understand what's going on with their pets. I really look forward to Dr. Lipton's house calls because not only is she fun and easy to talk to, I get to learn more about my furry "children" when she comes to visit. Whether treating a brand new kitten who's bouncing off the walls, or an older, much more dignified adult, Dr. Lipton has always made me feel that my cats mean as much to her as they do to me. I feel incredibly lucky to have found her! " "When we first adopted our lab-mix puppy Pepper a little over a year ago, we needed a lot of advice about how to take care of her. Dr. Lipton became Pepper’s vet immediately, and she became our sounding board about everything from Pepper’s diet, to how to deal with her mouthing everything (including us! ), to what to do about the ugly wart she developed on her chin. Dr. Lipton responded to our many questions patiently and seriously, but also with a sense of humor that helped us to relax! Even more important to us is the fact that Pepper adores her, and Dr Lipton handles her with gentleness and care as she gives Pepper her many “puppy shots.” We are so glad to have a vet with whom we (and Pepper) feel so comfortable! " "It's been two days since you visited and escorted my beloved Winky to heaven and I wanted to thank you for your kindness to her and to me. As much as I miss her, I know she wasn't well and wanted to make space for our daughter's arrival and I must tell you that this was as positive an experience as possible, thank you. I hope you'll consider working with us in the future with our two cats. I am grateful and lucky to have found you and will recommend you to friends. Thank you again, Winky's mom." "Putting my dog, Herbie, to sleep was one of the hardest things I ever had to do. He was very special- just like a child to me- I loved him very much. It killed me to see him degenerate these past several months, he tried so hard to please me- trashing his body about to go outside to pee etc. It was very hard for him but always managed even when it became nearly impossible and it took a lot longer. I will miss him for the rest of my life. But I know that now he is not suffering anymore. When he started to go to sleep was the first time I saw him get to relief for a very long time. I want to thank you for providing a much needed service to your patients/clients and also for kindness and compassion. You are the type of Vet that all Vets should be. God bless you. "We want to extend our sincere thanks to you for easing our way trough Rocky's euthanasia. We really, really appreciate you traveling so far to come to our home. I hope it made it easier on Rocky and I know it made it easier on us. We just want to let you know how muck your kindness and compassion meant to us.